I have particular expertise in cases involving allegations of lack of testamentary capacity, undue influence, want of knowledge and approval, and claims under the Inheritance (Provision for Family and Dependants) Act 1975. I also advise charity clients on a wide range of matters and I have advised charities as personal representatives and beneficiaries of contested estates. I work closely with clients to resolve complex disputes in a cost effective and efficient manner. This often includes using alternative dispute resolution mechanisms, such as mediation. I am experienced in dealing with cases in both the High Court and Court of Protection. I am an Associate Member of the Association of Contentious Trust and Probate Specialists (ACTAPS) and have been recommended by Legal 500 and Chambers for Contentious Trust & Probate work. I have been named as one of eprivateclient's 2016 top 35 lawyers under 35 for private client advisory work. I live in Guildford with my wife and daughter and I enjoy sport, especially football and golf. 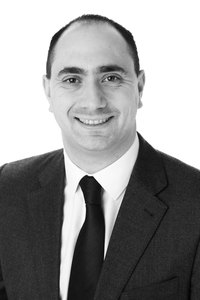 Practice head Scott Taylor 'cares passionately about his clients and their cases, and provides a stellar service'. Senior associate Scott Taylor is described as "a very capable pair of hands" by one market source and "a good, solid practitioner" by another. He acts for charities, beneficiaries and trustees on inheritance, professional negligence and capacity matters. Scott Taylor is "particularly good in probate and trust disputes involving professional negligence."